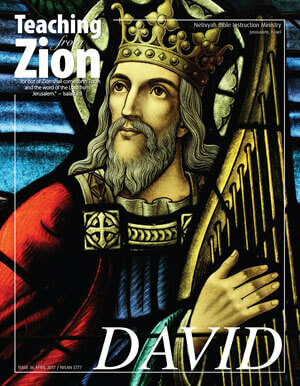 David is one of the most famous biblical characters. He is more widely known then Moses or Isaiah, more diverse and controversial than any other figure in the Holy Scriptures. David’s life story was anything but boring; his family saga could easily compete with popular soap operas of our century. This is the reason why hundreds of books and thousands of paintings and sculptures are dedicated to King David. He was a lover and a fighter, an outlaw and a king, but most of all, he was a man that was loved by God. It is interesting, that his very name, David, means beloved. Even after David died and the Judean throne passed to his son Solomon, the title “House of David”, was the name the kingdom of Judea was called for many centuries.